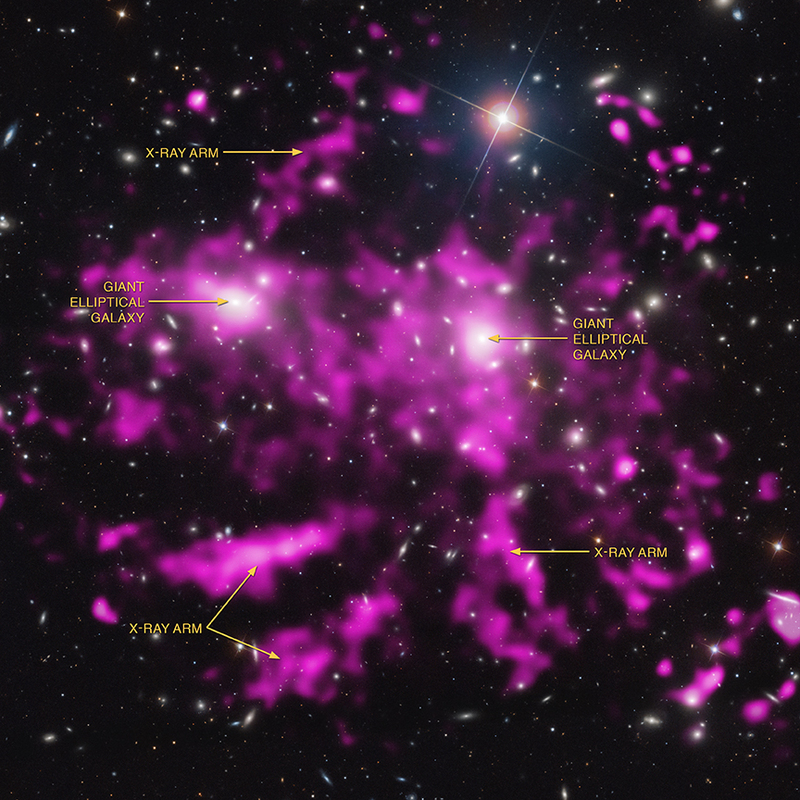 Enormous arms of hot gas have been revealed in the Coma galaxy cluster in data from NASA's Chandra X-ray Observatory and ESA's XMM-Newton. 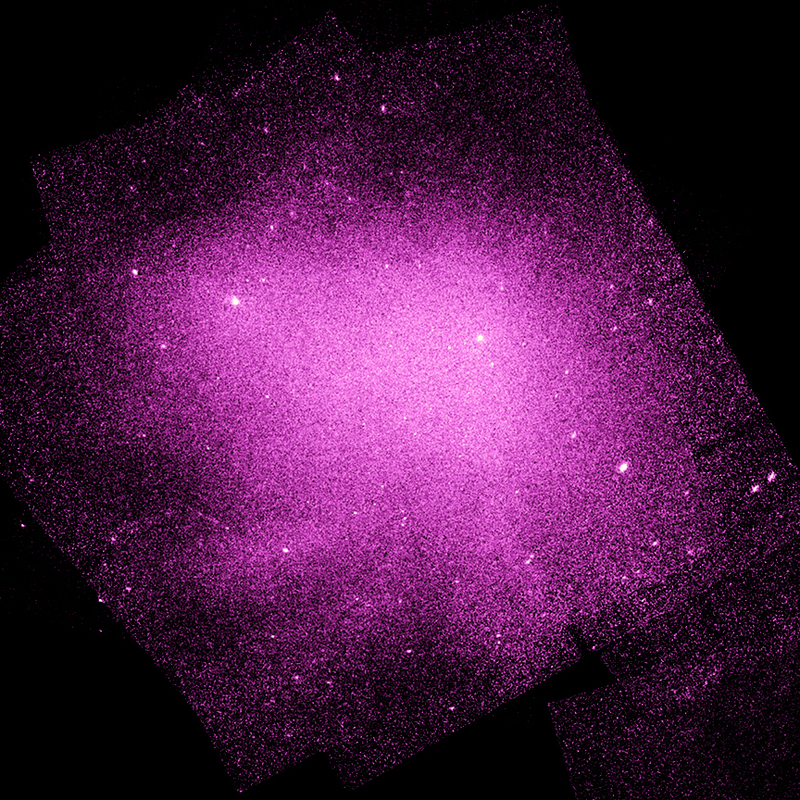 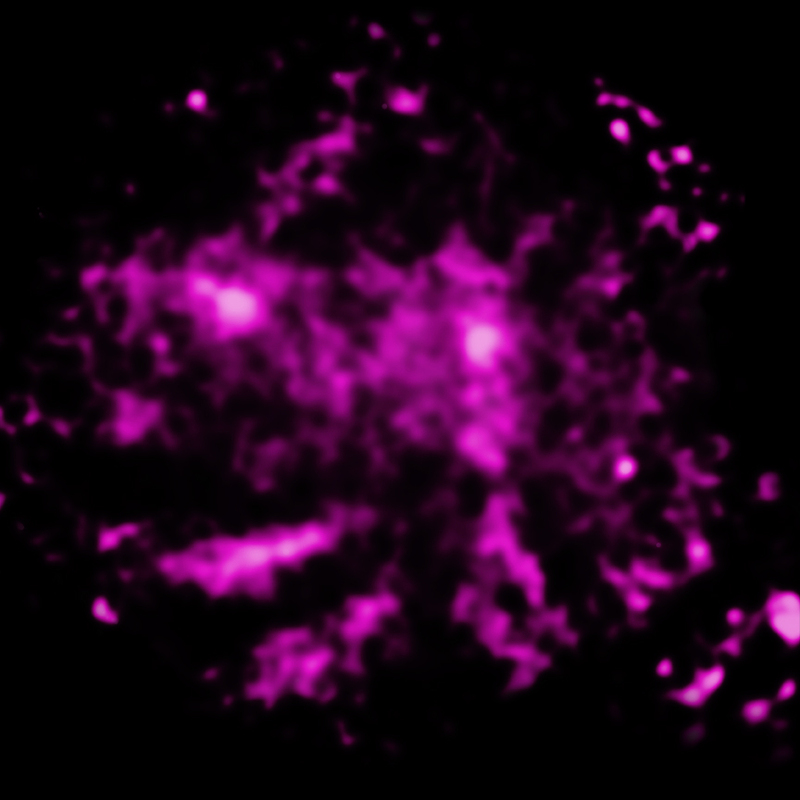 A specially processed Chandra image is shown with optical data from the Sloan Digital Sky Survey to highlight these spectacular arms. 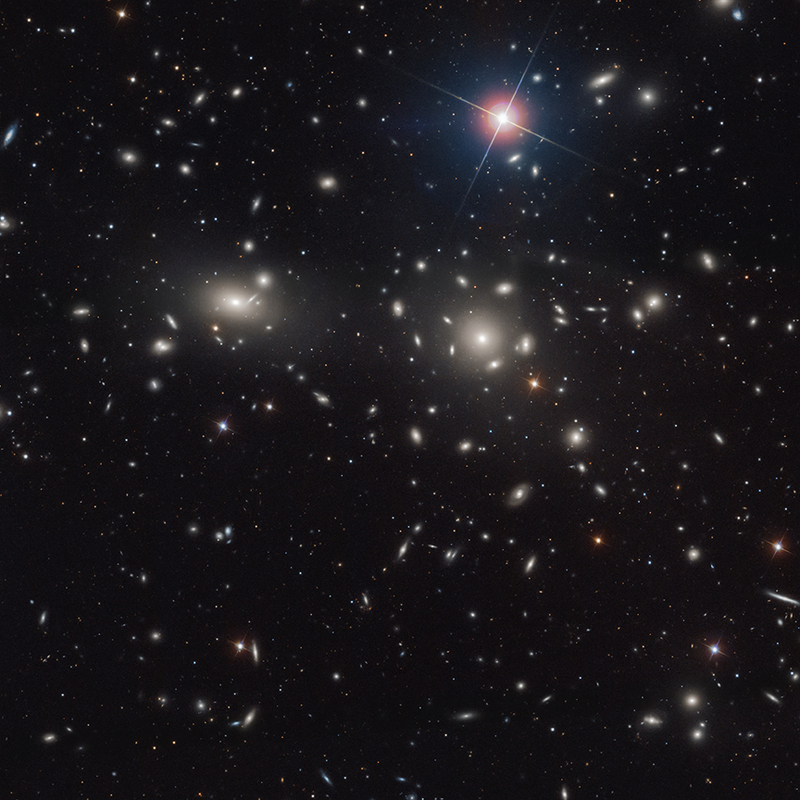 Researchers think that these arms -- which span at least a half million light years -- were most likely formed when smaller galaxy clusters had their gas stripped away by the head wind created by the motion of the clusters through the hot gas.